Sol & Sun - Just Beauty Products, Inc.
Sol & Sun There are 4 products. Alter Ego Sol & Sun Hair & Body Shampoo 300ml/10.14oz Enriched in V-SAN Complex, it purifies and removes build-up left by sun products, sea salt and chlorine. Nourishment and hydration is restored leaving hair soft and supple. 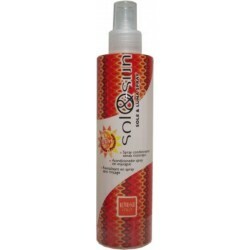 Alter Ego Sol & Sun Instant Conditioner 250ml/8.45oz. 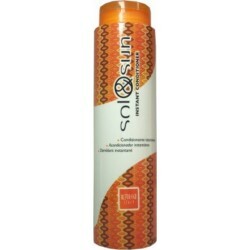 Alter Ego Sol & Sun Instant Conditioner 250ml/8.45oz. It repairs and hydrates hair that has been dehydrated and stressed by the sun. Detangles immediately and leaves hair silky soft and glossy. Alter Ego Sol & Sun Sole & Luna Spray 200ml / 6.76oz. Leave-in conditioning and detangling spray perfect for drying naturally wavy and curly hair. Alter Ego Fly & Go Hair & Body Shampoo Travel Kit 100 ml/3.38oz. A gentle action hair and body shampoo that has been formulated for use after sun bathing and an Instant conditioner that repairs and hydrates hair that has been dehydrated and stressed by the sun.